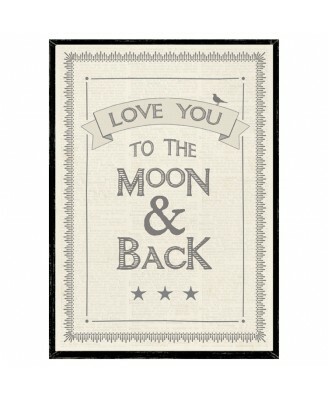 East of India Black Wooden Glassless A4 Framed Print 'Love You To The Moon & Back'! Crafted from wood with a vintage black distressed paint frame, with the wording in light grey. Every East of India gift has been hand-made or hand-finished by skilled artisans based in workshops around the world. They use traditional methods and natural materials so the products feel as good in your hand as they look on your screen.